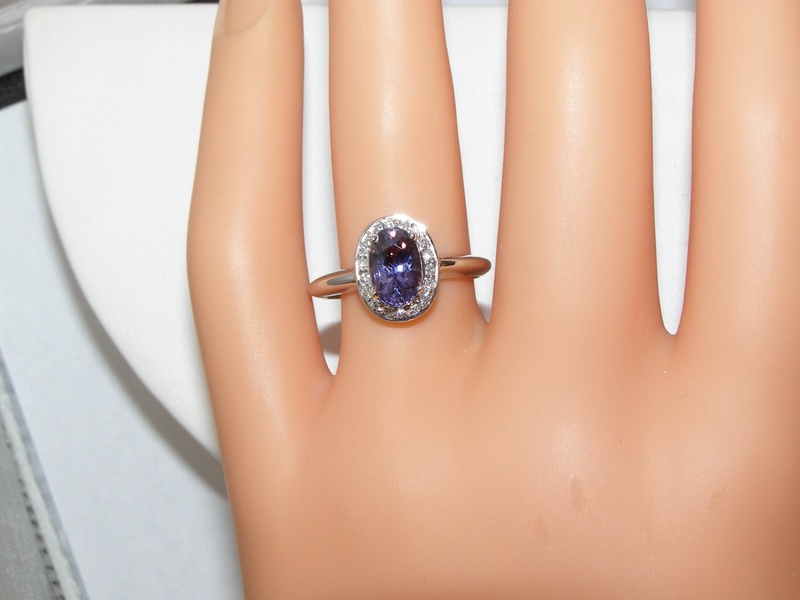 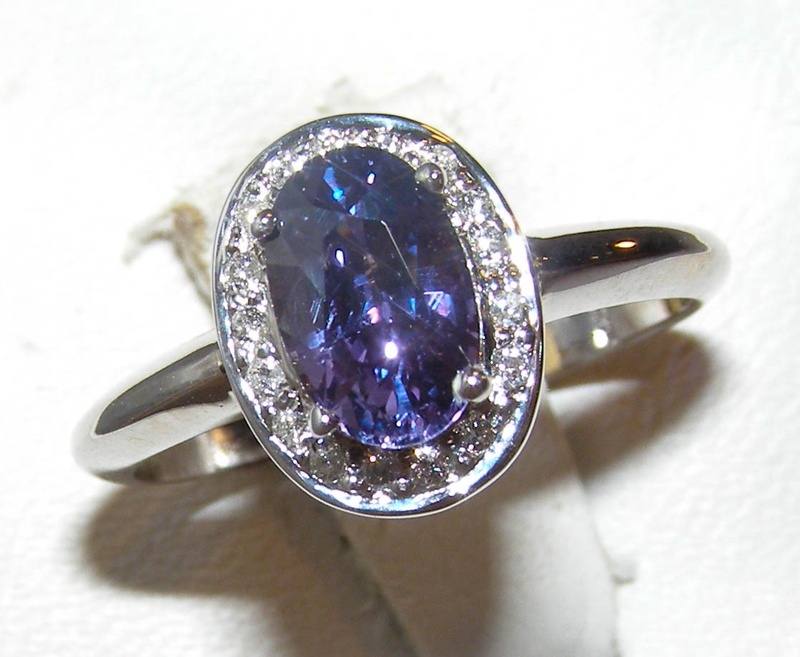 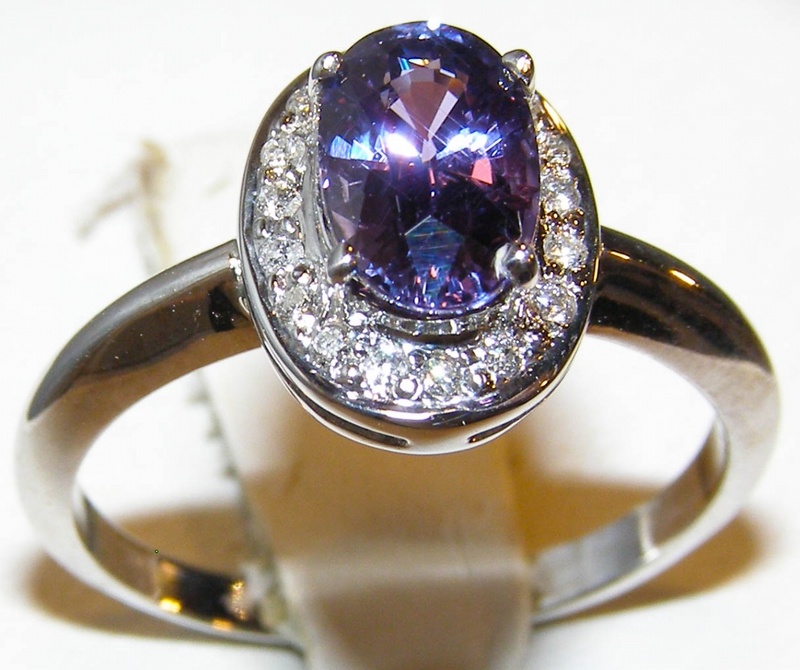 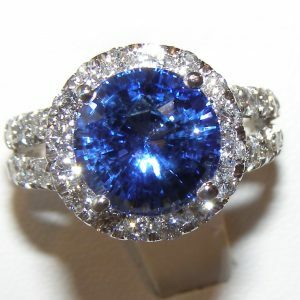 A gorgeous blue and purple Tanzanian sapphire takes center stage in this elegant ring. 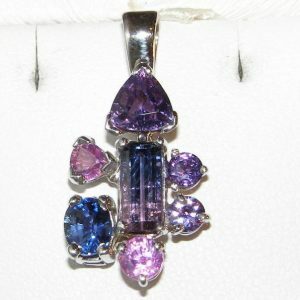 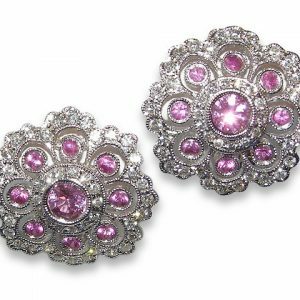 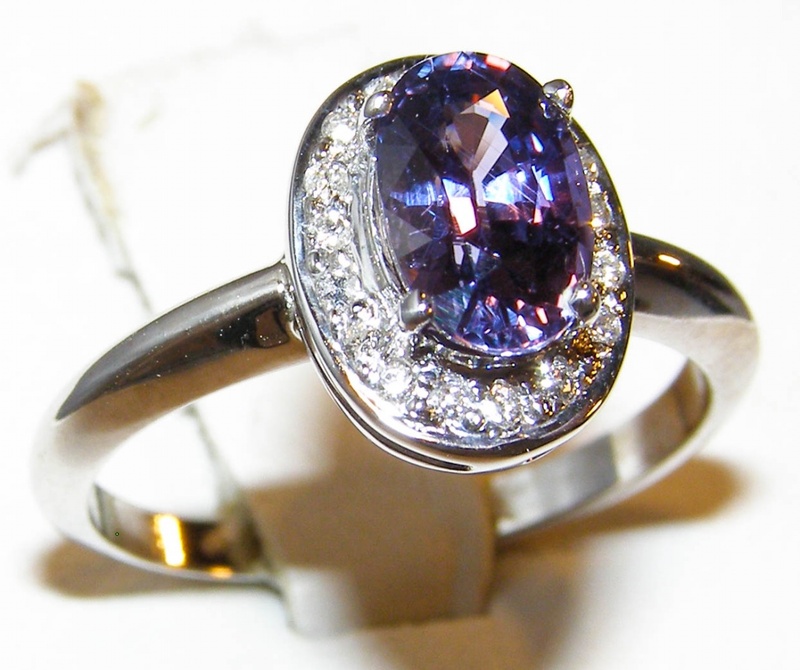 The sapphire is 1.54 carats, untreated, exhibits a strong blue with strong secondary purple hue, has excellent clarity and stunning brilliance with electric flashes of blue, purple and pink. 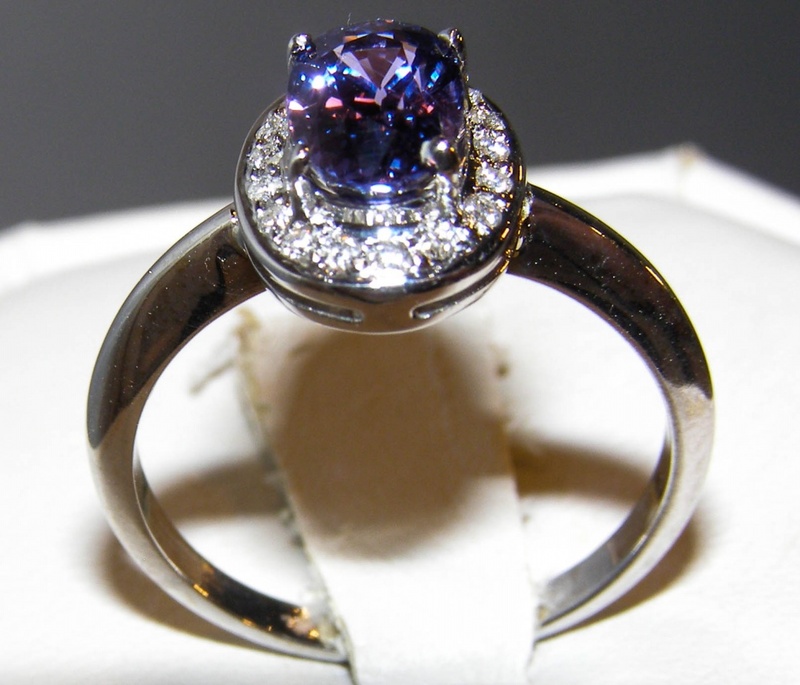 The sapphire is prong set and is encircled with a halo of pave set round brilliant diamonds that are 0.15 carats total weight and SI2 GH quality. 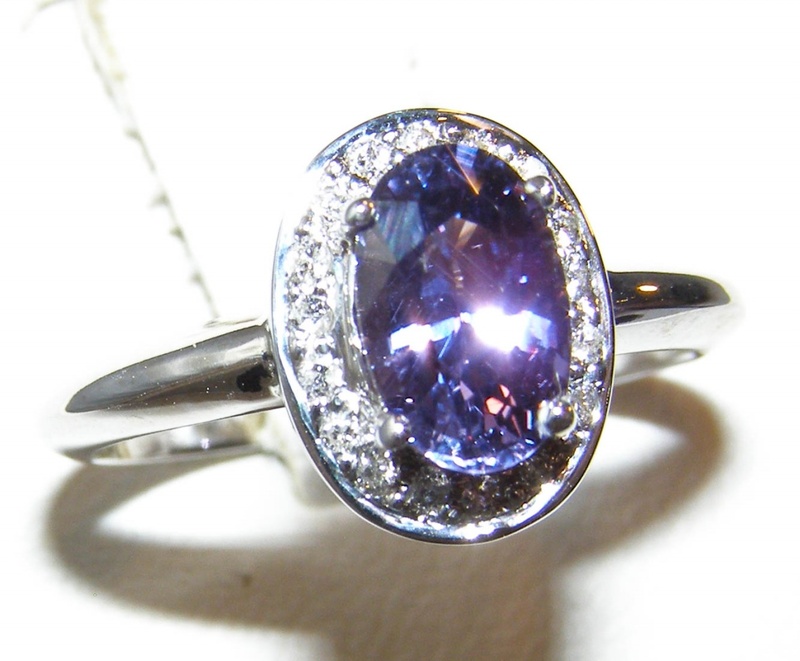 The ring is made with 3.42 grams of 14K white gold and is a size 7 (please indicate your size on the order form).